Robert V. Glaser’s illustrious career has included his time working with an experienced team that was tasked with making a number of profitable investments, the Mexican food restaurant chain Uncle Julio’s is one of them. It was in Dallas, Texas where Uncle Julio’s first opened its doors back in the late 1980s. 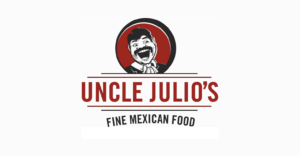 Managing to avoid many of the struggled that new restaurants must contend with as they grow in popularity, Uncle Julio’s quickly became a highly frequented eatery shortly after opening. Riding the success of the much-beloved margarita/sangria drink called the “The Swirl”, the restaurant became a Dallas sensation of sorts and work spread rapidly. Today, Uncle Julio’s has more than twenty restaurants in a number of states such as Florida, Georgia, Illinois, and Texas, of course. Uncle Julio’s interpretation of Mexican food is a far cry from what most people may deem to be “Tex-Mex” cuisine. There is strict emphasis placed on solely using fresh, locally grown ingredients are used to create its menu items, all of which are made fresh daily. The great taste is combined with a steadfast goal to create a welcoming ambiance and provide the highest level of service to customers enjoying the Uncle Julio’s experience.